Being Jewish, Chinese food is pretty much a staple in my diet. In recent years, however, I started to find myself sensitive to the additives that many Asian restaurants use in their vegetable dishes. I knew that this meant it was time to get back into the kitchen and cook up new vegan versions of my old meaty favourites. Last week, I shared some delicious honey-garlic eggplant. 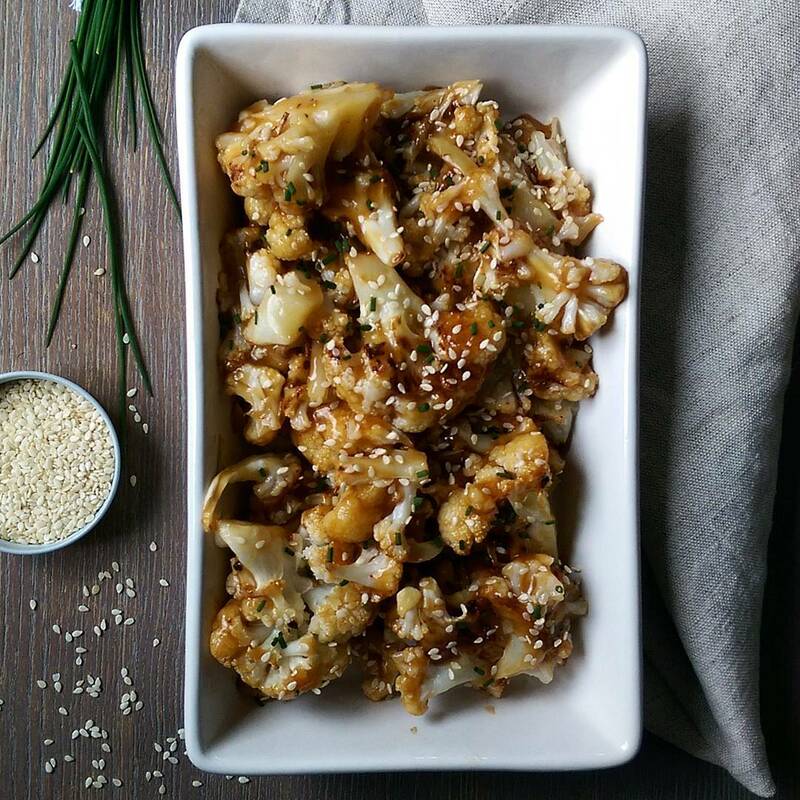 Today, I introduce to you this tangy sweet & spicy cauliflower. The two dishes would be lovely served together, over some nice sticky calrose rice. A deliciously healthy spin on take-out, that's baked instead of fried. Win-win. Combine water and cornstarch in large bowl. Whisk until homogenous. Add the remaining sauce ingredients and whisk until it comes together. Toss cauliflower into sauce mixture making sure it is well coated. Place evenly on baking tray, pouring remaining sauce on top. Bake for 45-50 minutes, until sauce has darkened and slightly reduced. Garnish with toasted sesame seeds and chopped green onions. what to do with my diet.I cant stop eating myself.I was hell worried about it.Your post has seriously resolved it.I find your recipe my perfect diet and i am sure its nutritious as well.Cool effort.